Bokanté perform live in celebration of their much anticipated album with the Metropole Orkest, ‘What Heat’. 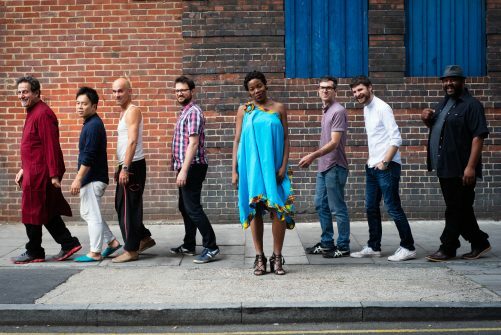 Bokanté are the fresh new supergroup founded by musician and composer Michael League, he of Grammy Award-winning, Texan-bred, New York-based instrumental jazz collective Snarky Puppy. A super group of players from five countries and four continents, different genders, races and generations working in harmony, celebrating individuality. A band whose members are united in the belief that music should be a voice for the voiceless, a force for change against a rising tide of exclusion and indifference in a world that is, well, reaching boiling point.